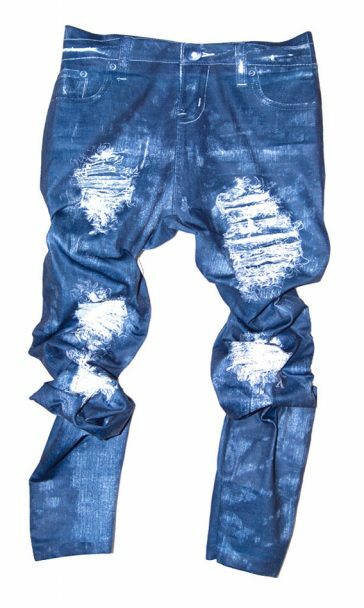 Our Torn Nexus Distressed Jean Printed Leggings keep you fashionable. These fun and snug fitting printed leggings keep you looking stylish during all the seasons. They come with a comfortable elastic waist for a snug fit.